- Easy to Handle for Baldness. Choose your own Hair style. - Hair is Smooth, Silk and Shiny. Hair transplant is a procedure performed on men and women who have experienced significant hair loss. Hiar Transplant can be done either by strip transplant method or by follicle method. Regarded as the most effective solution currently to tackle hair loss, Hair Transplantation has become enormously popular across the world and the standard for surgical hair restoration therapy. - Which are affected by hormones (Androgens) like frontal and Vertex hairs, on scalp. We have well trained senior hair transplant surgeon, trained Tricologist, trained operation theatre technician and well trained hair follicle splitters. Our centre is as per norms, is certified by Government health department. Here we will discuss the risk patients from whom we should ALERT. 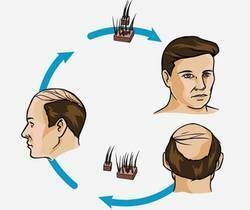 Patients at their young age with unclear hair loss patterns. Patients with unclear psychological maturity. Extreme hair loss with poor donor area. Most ultimate hair transplants services available in Delhi, Jalandhar, Ludhiana, Jaipur, India related to all hair loss treatment completed by Reviva clinic experts doctors. That therapy is more secure and no any side effect from it. A large percentage of men, and a smaller percentage of women are affected by hair loss. FUE &FUT been the advanced techniques. There are few companies like ARTAS, NEO GRAFT iBrain Robotics etc. which claim that if hair transplants is done with their machine then it is known as “Robotic Hair Transplant /or machine uses artificial intelligence to give better results BUT the “Facts are different. Hair Replacement, Hair Treatment, Hair Weaving, Hair Bonding, Hair Fixing Lot More. Apply any hair style could be bollywood style and your own choosen hair style. 100% original hair, safe, Very low maintenance needed, Effective treatment , Low Budget. Hair transplantation is a surgical technique that moves individual hair follicles from a part of the body called the 'donor site' to bald or balding part of the body known as the 'recipient site'. Hair transplantation is a procedure in which hair from back side of the scalp is taken and then implanted in the bald area. 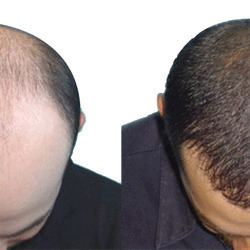 The procedure is carried out to treat both male and female baldness of scalp. Hair transplantation is undertaken to improve the hairline in eyebrows, beard and moustache as well.